We’re lucky in Birankai to have opportunities to train with two world-class instructors visiting from Japan in the next few months: Didier Boyet Shihan and Yoko Okamoto Shihan. Boyet Shihan, who focuses on the interplay between the sword and body arts in Chiba Sensei’s Aikido, will be visiting the Midwest this week and the East Coast in October. First comes a seminar at Huron Valley Aikikai in Ann Arbor, Mich., Sept 25-27. Seminars with Boyet Shihan are also happening at Montérégie Aikikai in Montreal (Oct. 2-4), Aikido of Champlain Valley in Vermont (Oct. 9-10), and Green River Aikido in Massachusetts (Oct. 16-17). These are prime opportunities to learn from Boyet Shihan, who has spent 40 years training with the top teachers at Hombu Dojo and across the world and brings both intensity and technical precision to the mat. Later in October, Yoko Okamoto Shihan of Aikido Kyoto will be giving a seminar Oct. 23-25 at Aikido Daiwa in Los Angeles. 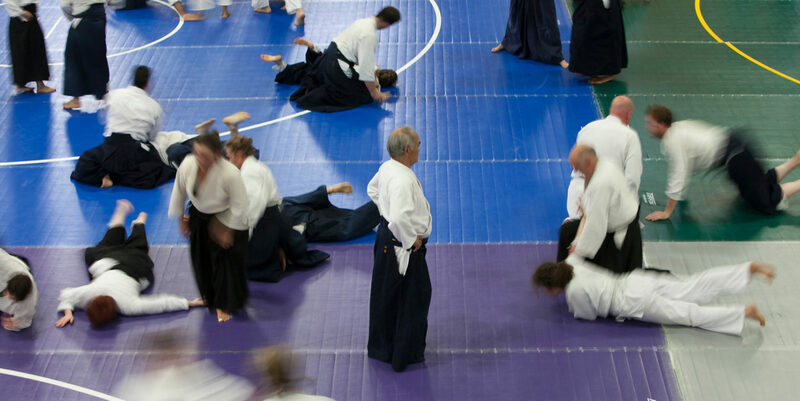 Don’t miss this chance to train with Okamoto Shihan, who joined us this summer at camp in Tacoma to train and take part in memorial events for Chiba Sensei. She also led an outstanding Birankai summer camp in 2014 and has hosted a series of Birankai members for intensive training at her dojo. Check out more newly posted videos of Boyet Shihan and Okamoto Shihan at the BiranOnline channel on Youtube. See you on the mat this October!